Enter one laser wavelength number e.g. "635" (for 635nm) or "IPL"
We know how important it is to protect eyes from the intense light produced by lasers, IPL and LEDs. However, it can be difficult to know which are the best glasses to use for your particular equipment. Often the wrong glasses are used. 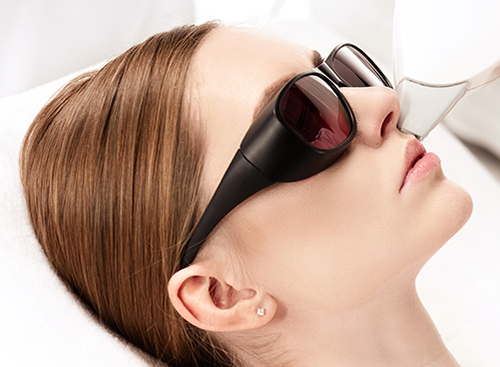 Or the glasses that are used aren't properly certified to the relevant US laser safety standards. DiOptika can help make sure you find the correct eyewear. 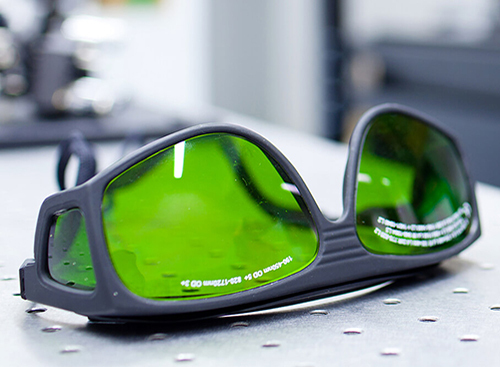 With over 25 years of experience in laser safety, our expertise can ensure you have the right laser or IPL safety glasses for your equipment; ensuring your operators, patients or clients are adequately protected. 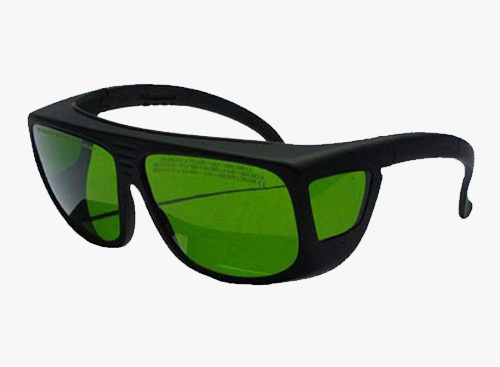 We have an extensive stock range of over 200 laser and IPL safety glasses that are all fully certified and compliant to relevant US and International Laser Safety standards..
DiOptika's range of laser and IPL safety glasses are professional grade and have very durable frames backed with a 24-month warranty. We offer free US wide delivery for online orders over $219. We also offer risk-free shopping. If you purchase any of our stock eyewear and are unsatisfied (for any reason) you may return it for a full refund within 30 days. See our risk free shopping for full details. 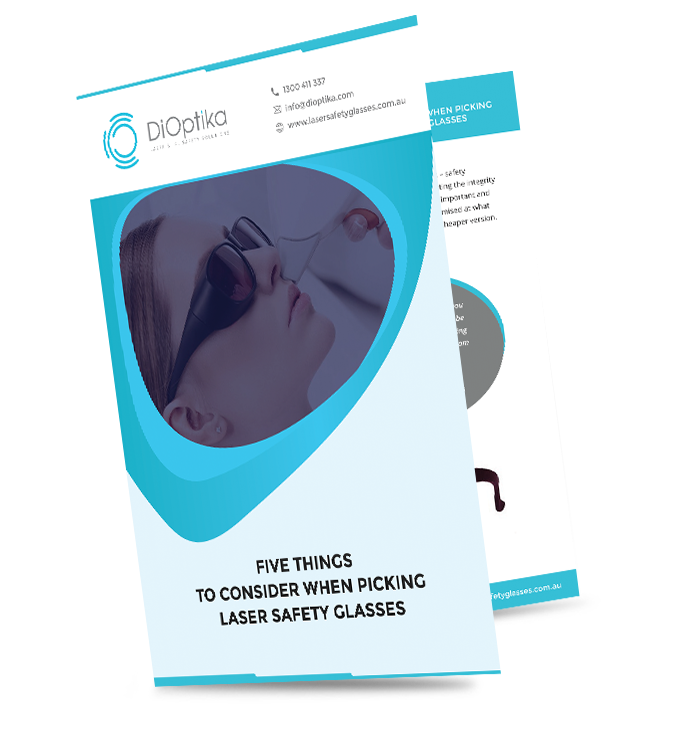 For assistance in finding the most suitable laser or IPL safety eyewear use our search tool or email info@dioptika.com to ask one of our experts. Enter your email below to get a copy. Thank you so much for your prompt and excellent service, we shall order all our future glasses from you. Our glasses arrived from you the following day, are excellent quality and your service, responses and turn around time to have our product delivered was outstanding and appreciated. 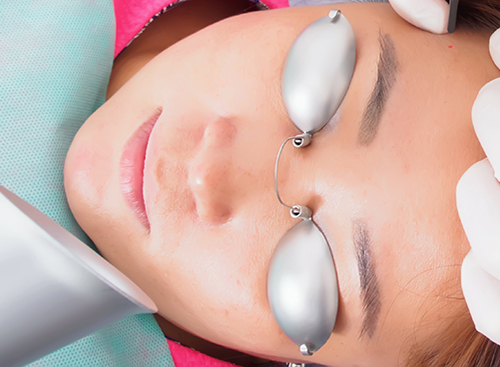 With the service that we have received and the assistance you have given us for our aesthetics training college, we would be delighted to continue dealing with your company and building our relationship. We will be recommending you and your team to all of our students and associates.